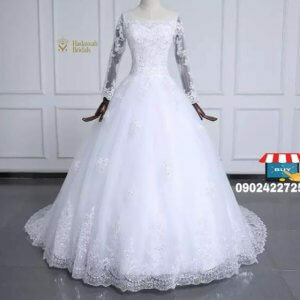 This long sleeve mermaid wedding gown will give you the WOW effect on your wedding day. Let beauty radiate through you on your wedding gown as you glitter in this beautiful mermaid bridal dress. 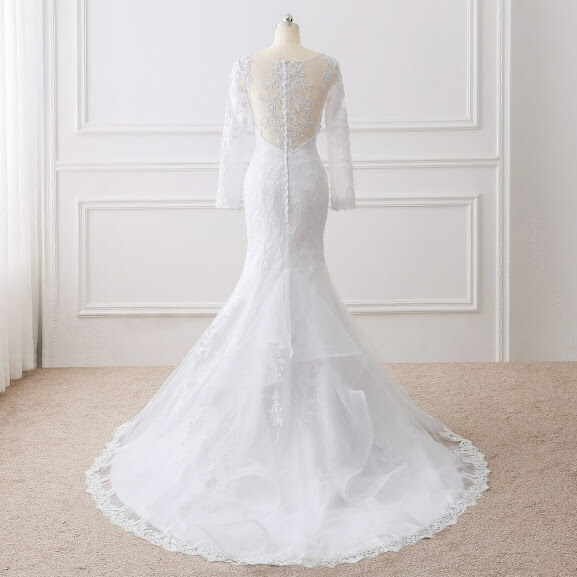 This lovely wedding gown comes with a veil and a petticoat.